This week, Keri and Carter speak with Dr. J.R. Miller, Professor of Applied Theology and Leadership & Dean of Online Learning at Southern California Seminary, creator of MoreThanCake.org, and co-host of the “Off the Cuff” videocast, which can be found here. 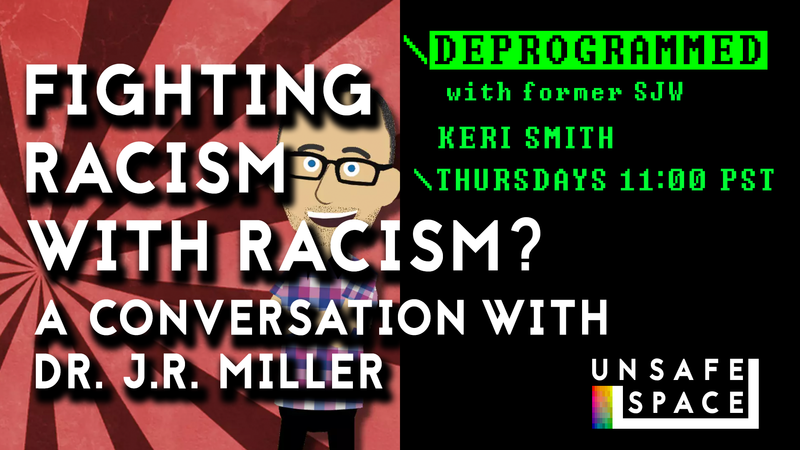 We’ll discuss the neo-Marxist formulation of the concept of “racism” and the grave consequences of its application by the social justice community, as well as Dr. Miller’s argument that this intersectional approach to racism is incompatible with Christianity. Dr. Miller’s article, entitled, “I choose not to combat racism by becoming a racist,” can be found here. Previous Post: [Live: Episode 044] Upstream: In Patreon we Trust?